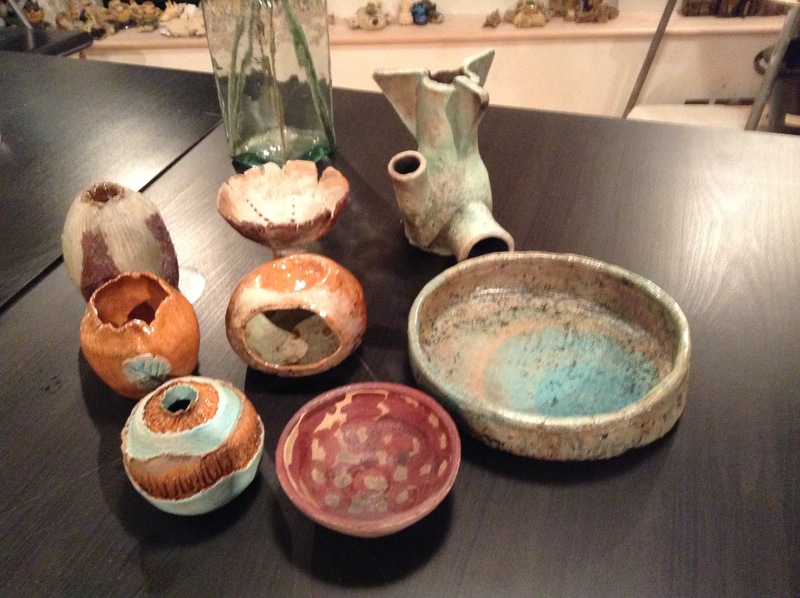 Every Wednesday evening the Art Barn runs a small, friendly clay class for adults of all ages and abilities. Courses are usually divided into 6 week blocks. During that time students are encouraged to try a wide variety of different techniques. There is a theme for each course but students are free to develop their own interpretations and ideas. Individual tuition and advice is always available. 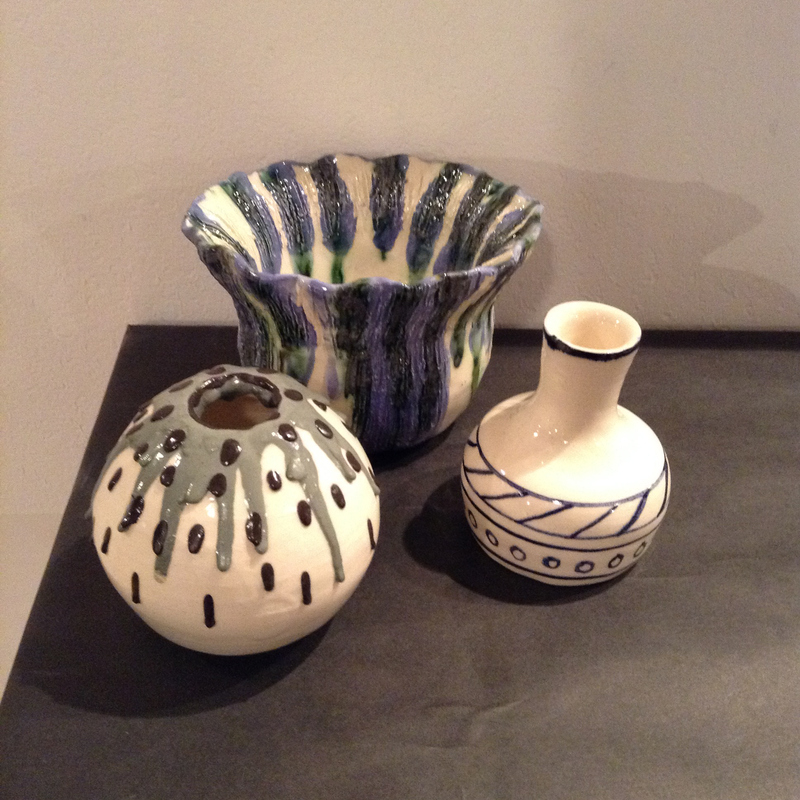 Pottery for Adults begins again on Wednesday 7th January 2015 at 7.30pm. It’s a really lovely class. Give us a ring or please arrange to come down and visit us. We would be happy to show you around. The theme this term will be slab pots and buildings. Everyone will also have the opportunity to use the potter’s wheel if they wish. Here are some of the most recent pots to come out of the kiln.